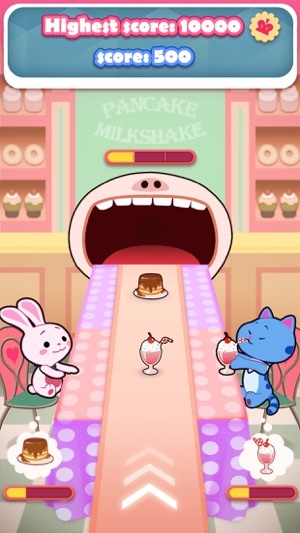 - PLAY by serving Pancakes to the Bunny and Milkshakes to the Kitty. - SHARE your round results with friends on Facebook, Twitter, Instagram, Snapchat, iMessage & Internet. 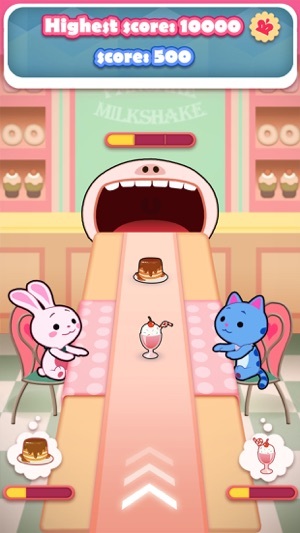 - CHALLENGE each other’s high scores. Tip: Ralph Mouth will eat all remaining food and Wreck-It! This game is the best ‘Don’t touch the white tile’ type of game out there, but there are some kinks. When you go too fast it doesn’t read your taps and it’s missing some amazing songs, like Tchaikovsky’s 1812 Overture, I think. But it has a massive selection of classical songs and is very well rounded. There are not too many ads, and 5 seconds in you can skip them. Overall, amazing purchase, but do NOT get Pancake Milkshake™3, it is not good at all, the tapping is so much different from this game and it doesn’t have the same look or feel to it, if they had the exact same layout as this one but with the songs of Pancake Milkshake™3 that would be an even better game then this one, sorry developers. If your a person who likes to play games with their friends online then this is the game for you. But if your a younger kid I would recommend staying away from it. Although it’s funny and comical, it’s not the most appropriate thing for kids. 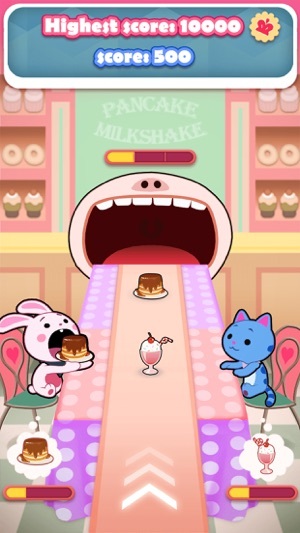 If you give the bunny the milk shake or the car the pancake, a figure that symbolizes death comes in with a scythe and hits the Charente in the head. There for killing it. I feel that younger kids might find this scary and should not be watching it. They might actually react like the kid in the movie. 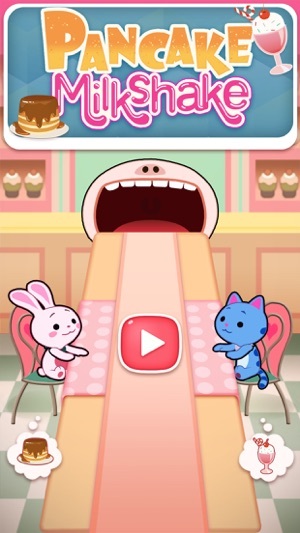 Well all in all it’s a great app for older kids with a competitive friend or two.